← Kudos To Us – Ana, Justin, Joanna, Dan and Me! 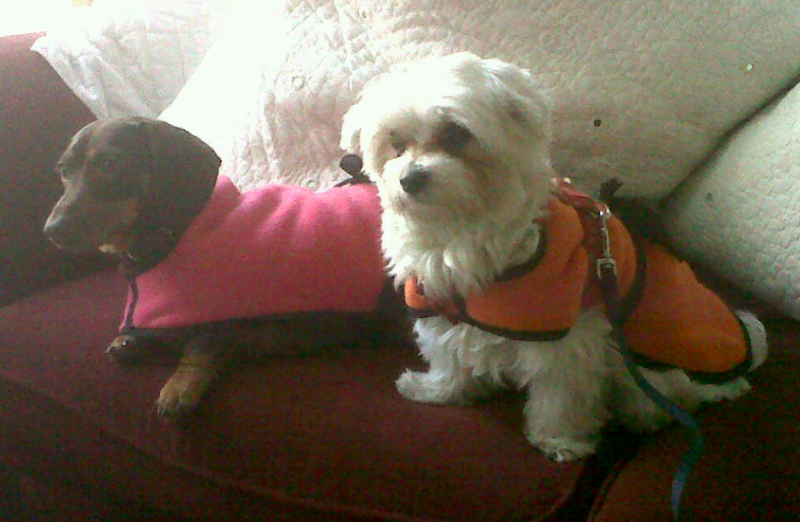 Honey and Candy in their new fashionable Winter coats! The hardest part about leaving for the holidays, especially if you have pets, is leaving them behind while you are gone. Although I grew up with dogs, hamsters, bunnies, birds, and fish, I never thought I’d ever be so attached as I am to our two little puppies – Honey and Candy. 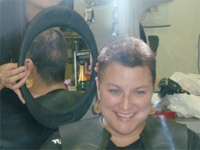 They made my cancer care possible and my children incredibly happy by providing unconditional love through out. Crossing borders will always be an issue for our family and making your pets ‘Border Ready’ is a lengthy process. According to the United States, both of our puppies had to get Rabies shots and establish Fit-To-Travel certificates which we (actually Me) failed to get on top of before the holidays started! Panic!!!! So what is the next best thing? I called Bark & Purr for them to care for Honey and Candy and make arrangements with our Vet to get them fit to fly! Deborah and Cheryl, the owners, are so amazing, they care so much about Honey and Candy – I even get a photo of their movements by day’s end, every day. Today, because of the fluctuating weather patterns through out the UK, they purchased our two pups winter coats! Again, a small detail on the list I missed! Tssk tssk, Alex! I don’t know what I would have done without them! Thank you Deborah and Cheryl! Please give my precious puppies hugs and kisses, we’ll see them soon! This entry was posted in ALL POSTS, Family Matters and tagged Bark & Purr London, Holiday pet care UK, Professional Pet care Holiday. Bookmark the permalink.